You don’t have to make the national soccer team or the NBA to enjoy the many advantages of being part of a sports team. 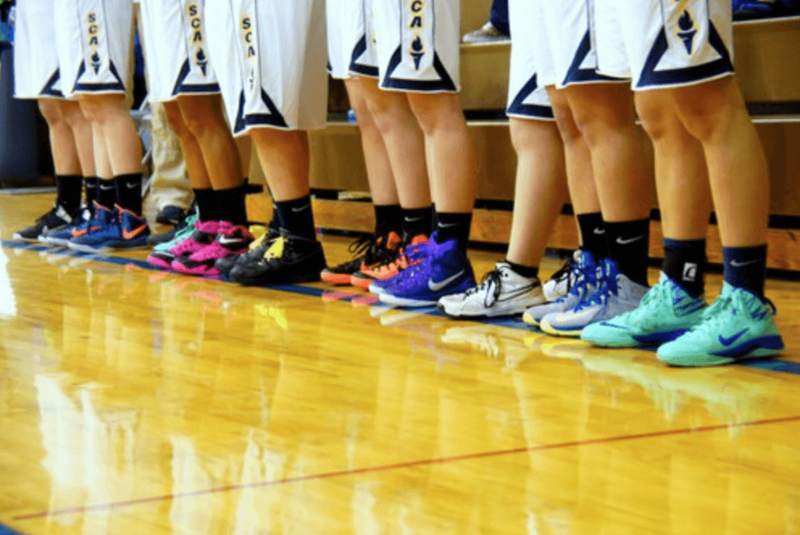 In this article, I’ll list the top 5 reasons why it’s so great to engage in a team sport! No matter what sport you do, it is always good to move and be active. The same goes for being active as part of a team. Exercise is important for our overall health and mental wellbeing as it reduces stress and gives us more energy. Team spirit is not only important in sports but also as a part of our daily lives. Being part of a team can connect you to individuals who are from different cultures and other walks of life. It is also great to share a common goal and work together as a team to fulfill it. Good team spirit will motivate all teammates during competitions and even offer moral support if you don’t win. All these elements of being part of a team are equally useful in your personal and professional life! Nowadays people can get so absorbed with work, commitments and social media that you’d almost forget to meet your friends in person. One great way to spend time together is by playing sports and rewarding yourself with a nice drink at the sports canteen afterwards. Also people who move to a new place find that the best way to meet new people is by joining a sports association. Australian research has shown that people who perform sports within a team enjoy a better mental health and life satisfaction than those that exercise alone. Other than that, being part of a team can really boost your confidence when your teammates and praise you when you’re doing a good job for the team. We all have those days when we can’t be bothered to exercise. It is easy to skip a workout if you train alone and know that others do not depend on you. However, being part of a team gives you the moral obligation to get up and support your teammates who rely on you. Also, your teammates will encourage you to come and support the team even when you’re having a bad day. Next to this, a team member can give you that extra push you need to fully excel in your athletic abilities. Sports are good for everyone and being part of a team will improve both your physical and mental wellbeing. Being part of a team will help you commit to a sport in the long term. Joining a sports association/team is also a great way to make new friends.